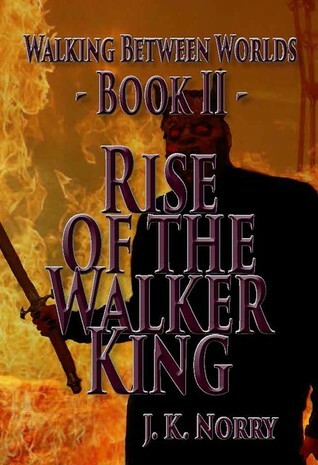 To celebrate the release of the final Walking Between Worlds book (yes, Fall of the Walker King arrives this Tuesday! ), Sudden Insight Publishing has put the first two books on sale! Get the ebook version of Demons & Angels for just 99 cents, or Rise of the Walker King for $1.99! Hurry, this sale ends December 3rd! P.S. Attention, Kindle Unlimited and Amazon Prime members! You can now read “Demons & Angels” for free as part of your subscription! Enjoy the first book of this exciting philosophical fantasy series now, and get ready for the exciting conclusion – Book III: Fall of the Walker King (coming December 1st, 2015). In the first book of this series, I had a little difficulty writing some of the scenes. I am not the fan of violence that I may seem if you’ve read it, but I recognize that it is a feature in a lot of stories worth being told. When it comes, it can be helpful to have a description that brings a telling image to mind; violence should shock us all, even when it is something we feel is called for. My excitement continues to grow as the release date gets closer. The time it takes to create a book start to finish is considerable, and laced with challenges as much as it is punctuated by minor victories. As this countdown ticks away, it brings to mind another countdown that makes time itself a featured character in this book.